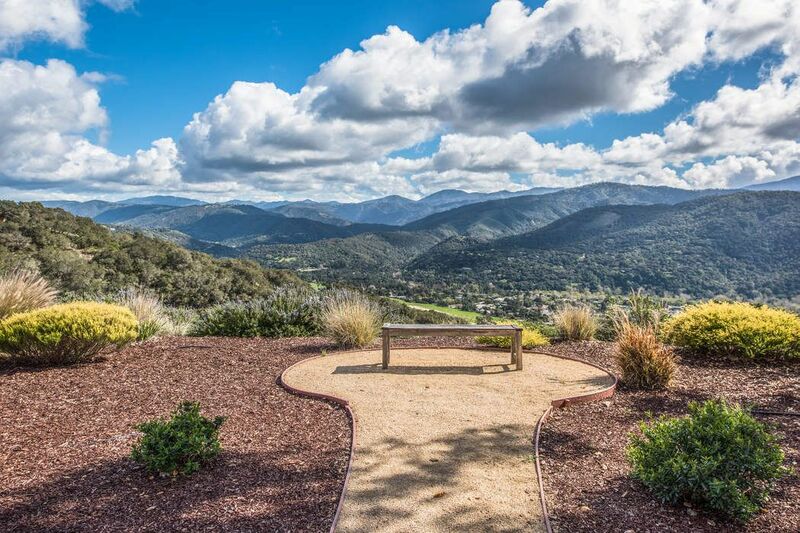 250 El Caminito Road, Carmel Valley, CA 93924 | Sotheby's International Realty, Inc.
$1,875,000 3 Bedrooms3 Full / 1 Partial Baths2,898 sq. 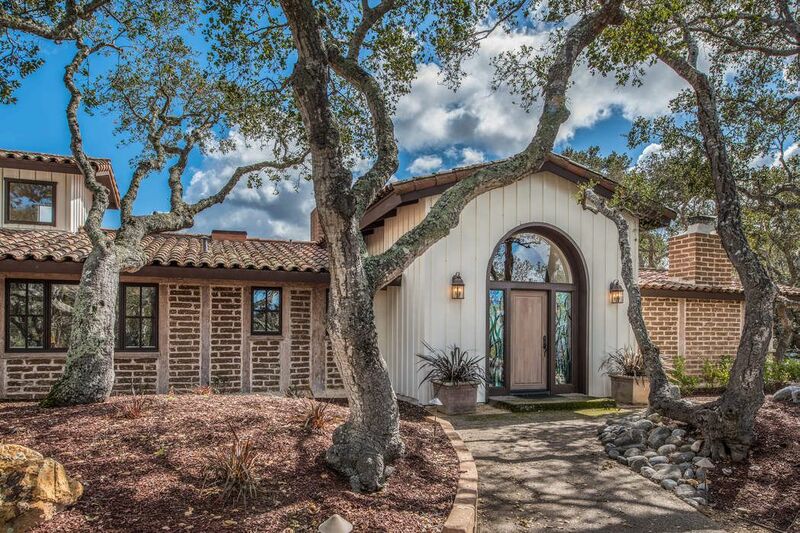 ft.
Nestled on private 3.5 acre oak studded knoll is your private weekend getaway or forever home. 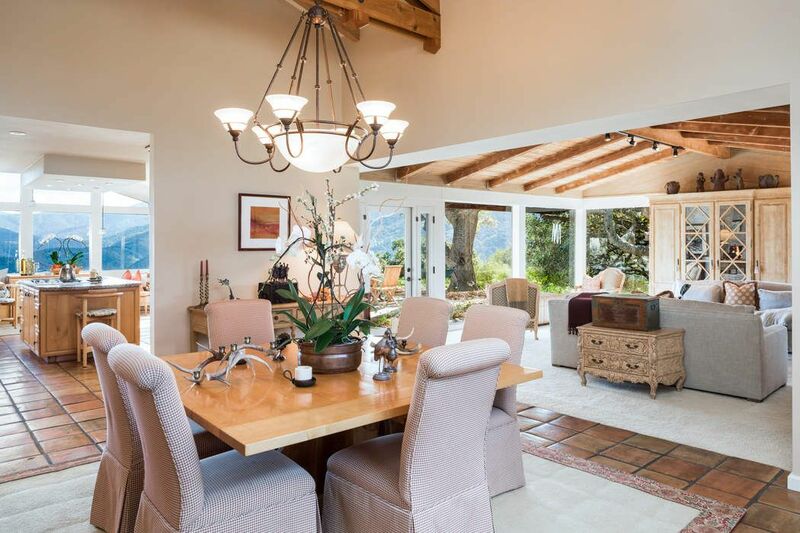 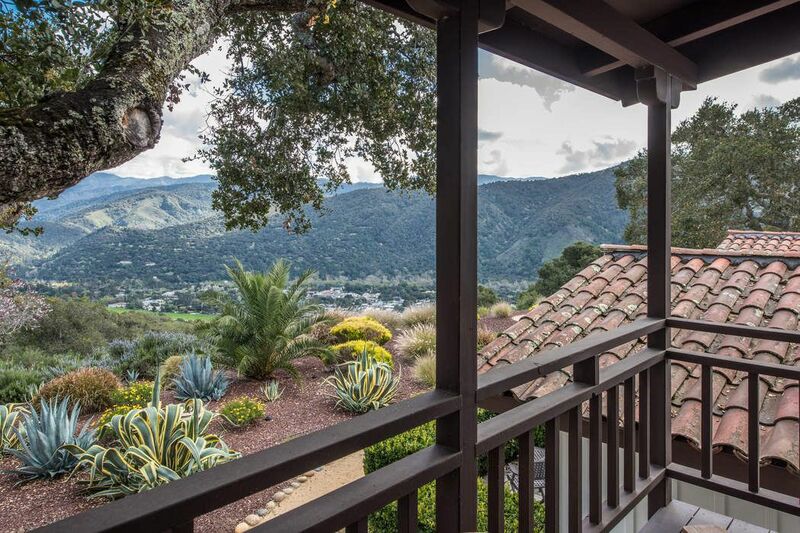 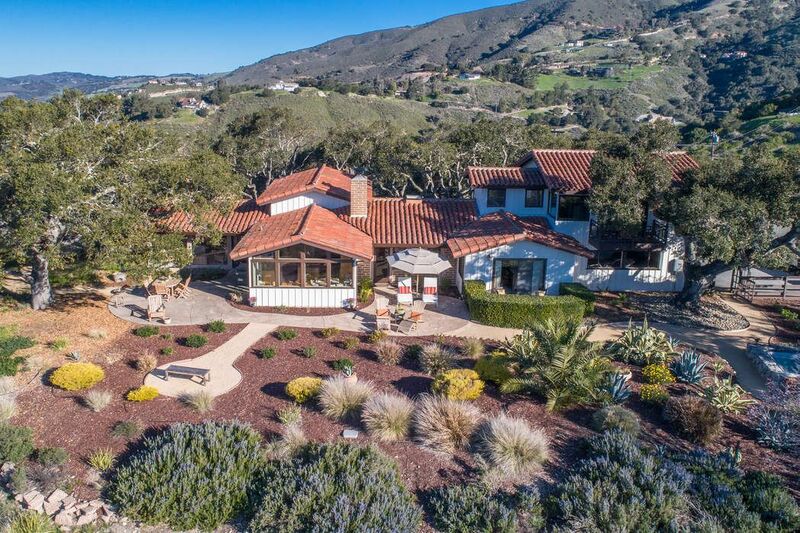 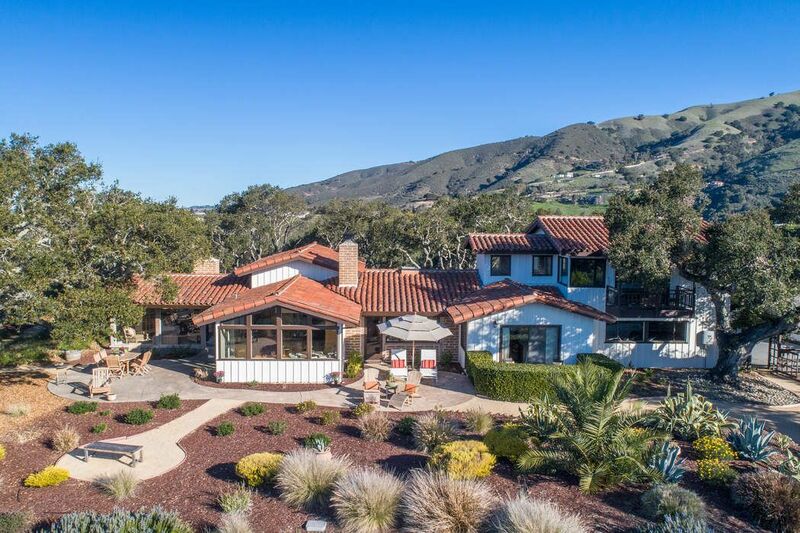 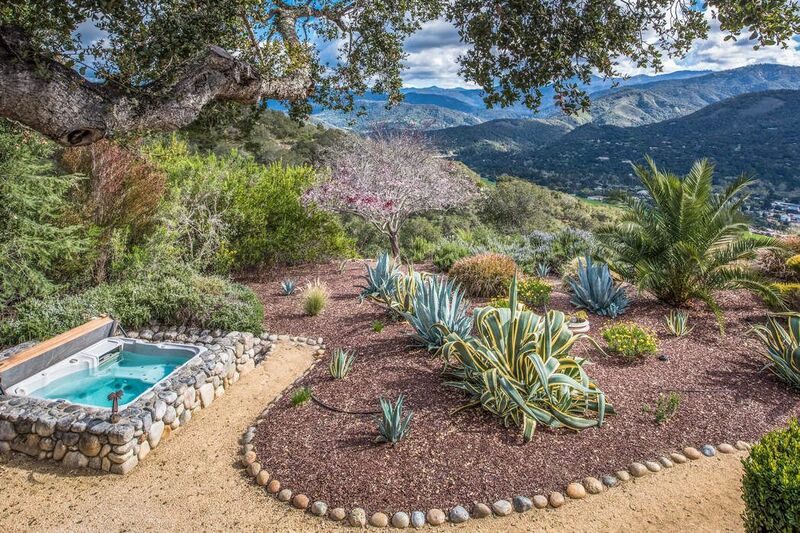 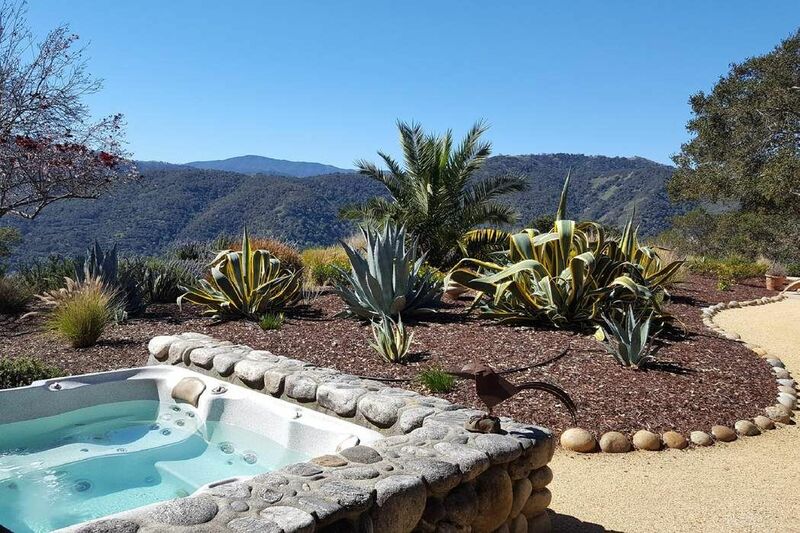 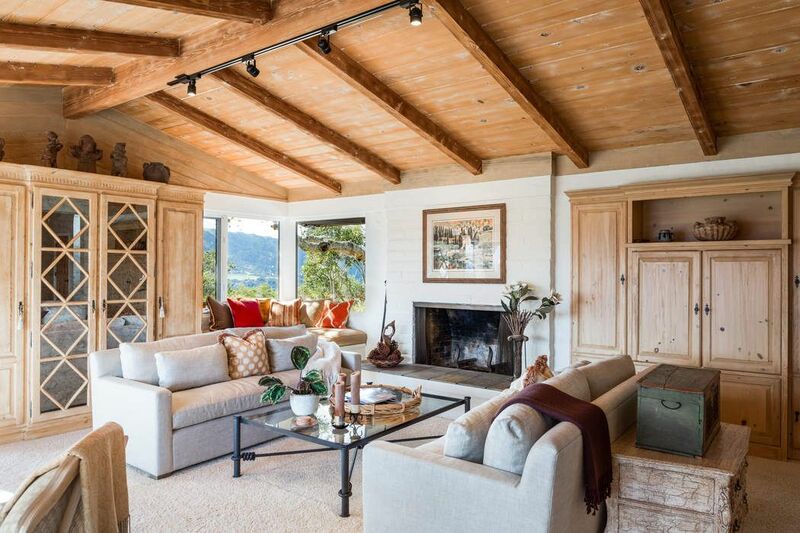 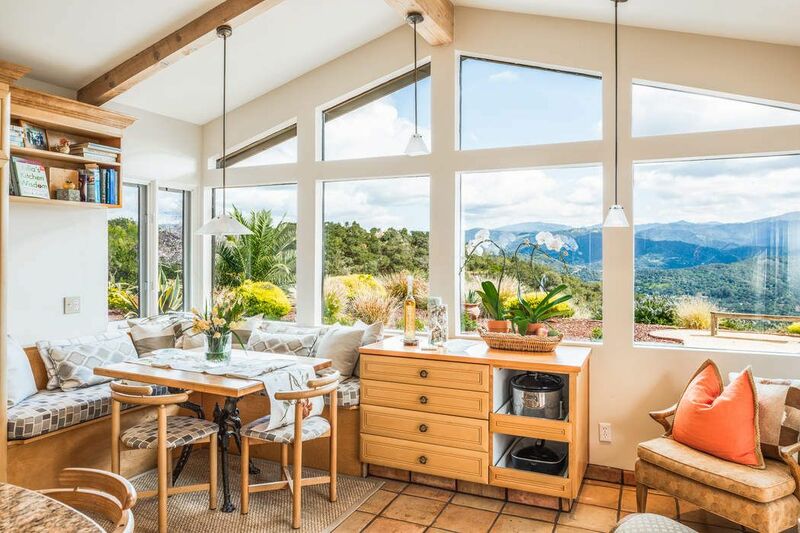 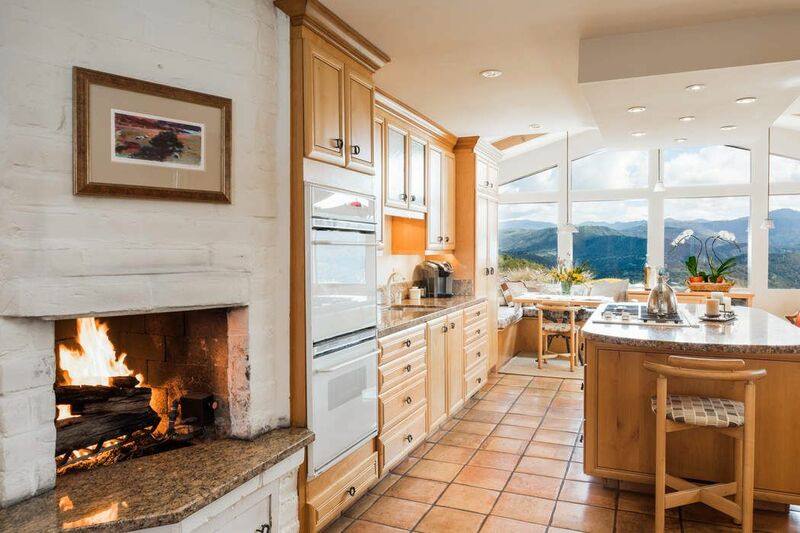 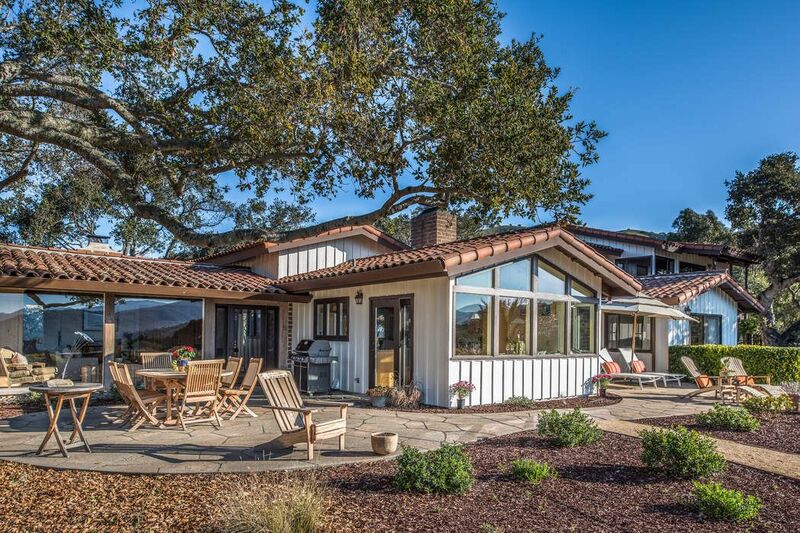 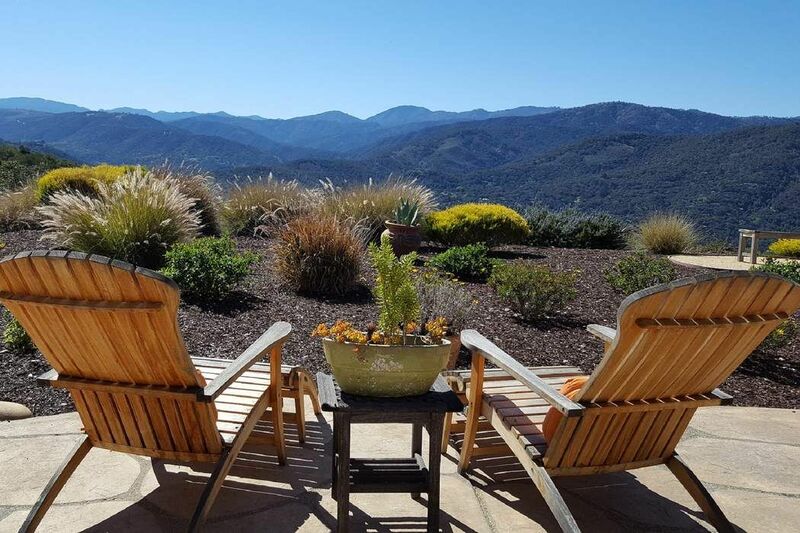 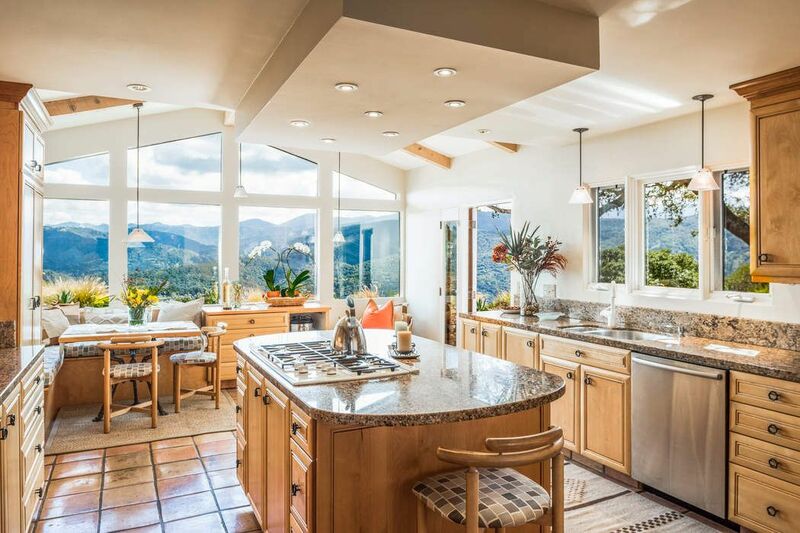 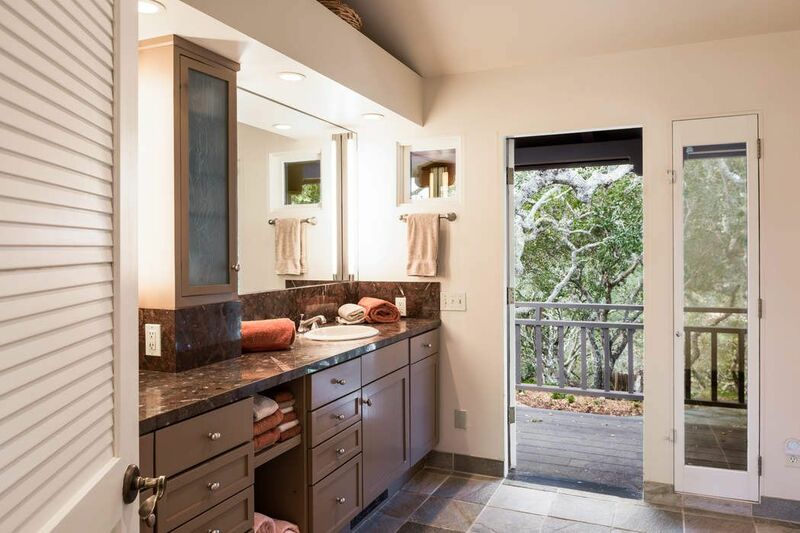 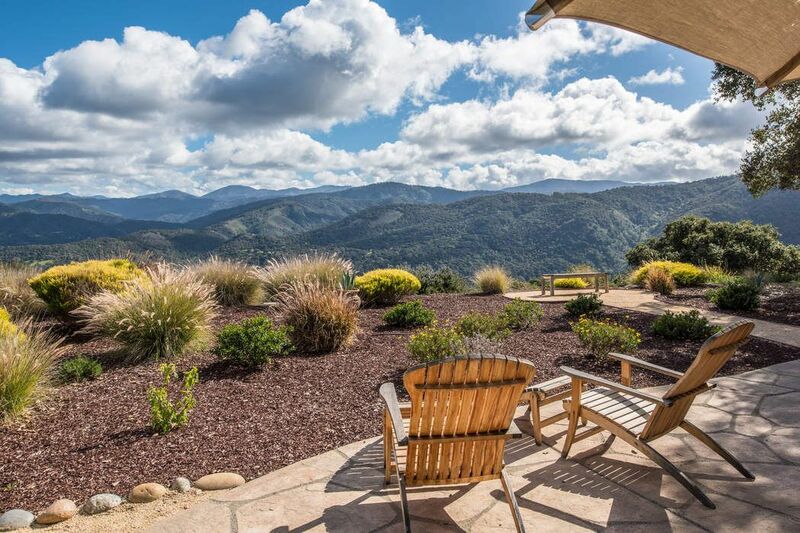 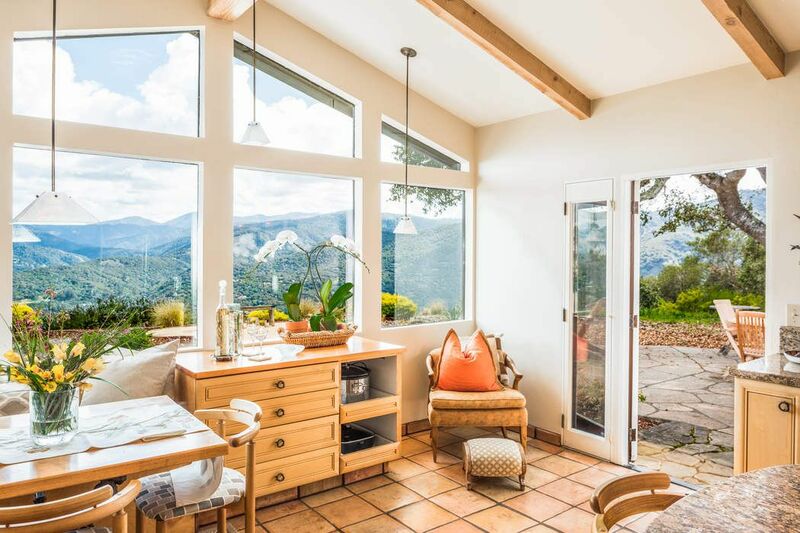 Savor the panoramic sun drenched vistas of the Santa Lucia Mountains and enjoy alfresco dining and amazing star-gazing from the beautiful south facing outdoor entertaining patios. 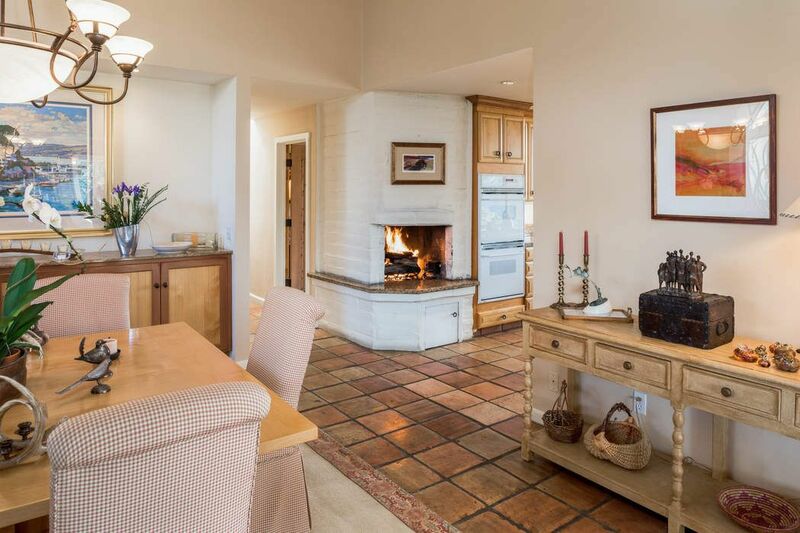 Located in a coveted neighborhood, this unique Adobe Ranch style home is warm and welcoming with an open and flowing floor plan and stunning vistas from almost every room. 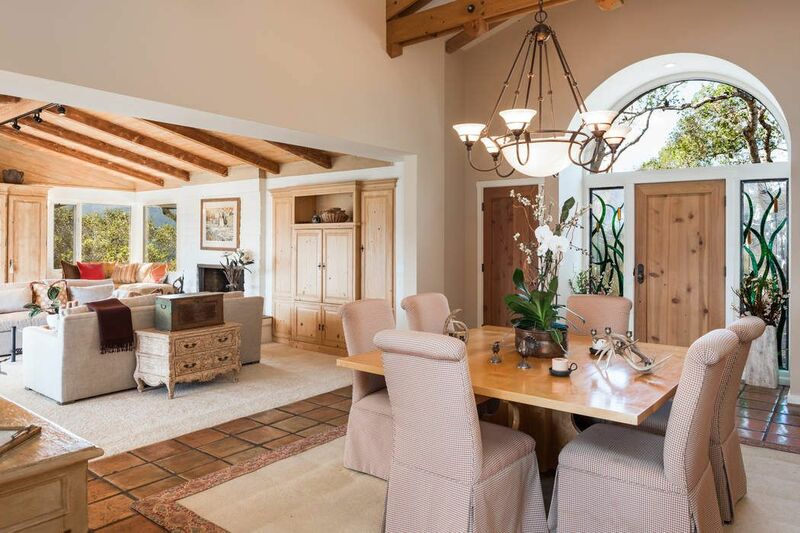 This charming home exudes a feeling of peace and tranquility, each room has its own wonderful old world features and details. 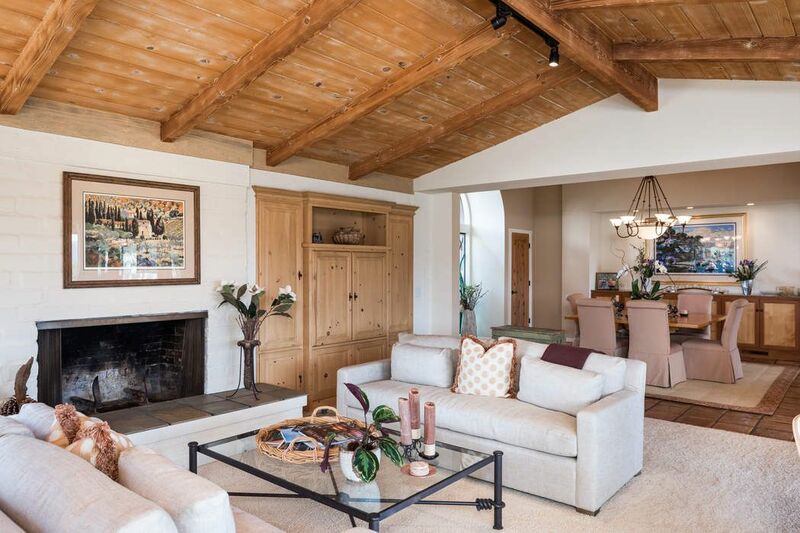 The comfortable light filled living room is a relaxed space with a rich beamed ceiling a cozy wood burning fireplace, floor to ceiling windows, corner window seat and patio doors that lead to a wonderful outdoor patio. 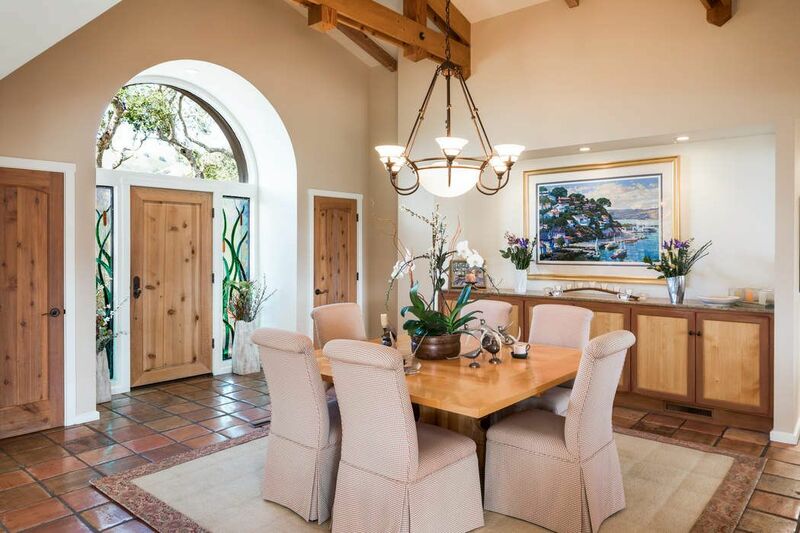 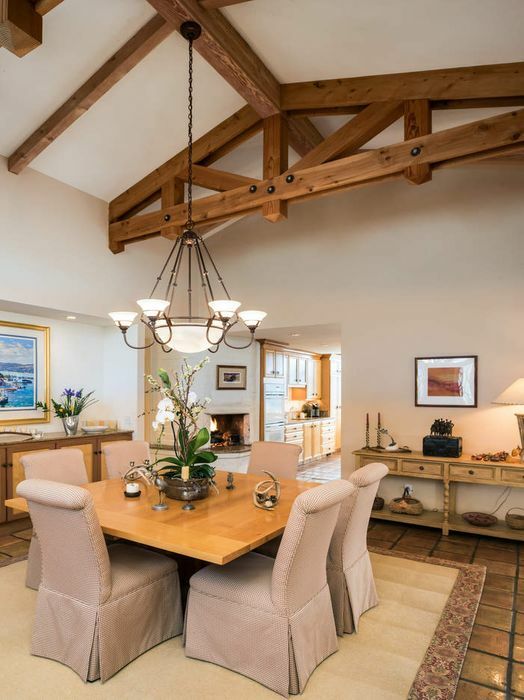 The dining room features Saltillo tile floors, handsome truss beams and a wonderful built in display buffet. 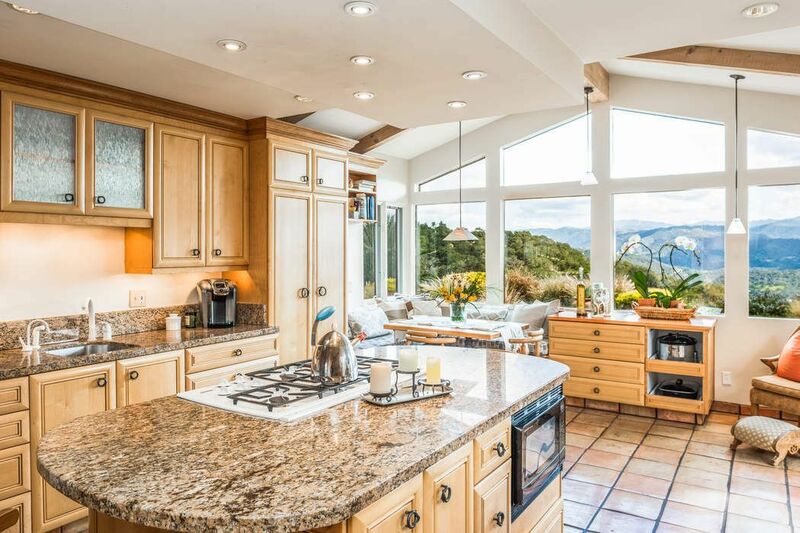 The light filled kitchen is the home’s natural gathering place, with its open beamed ceiling, fireplace, spectacular view windows, dining nook, Maple cabinetry, and Granite counters. 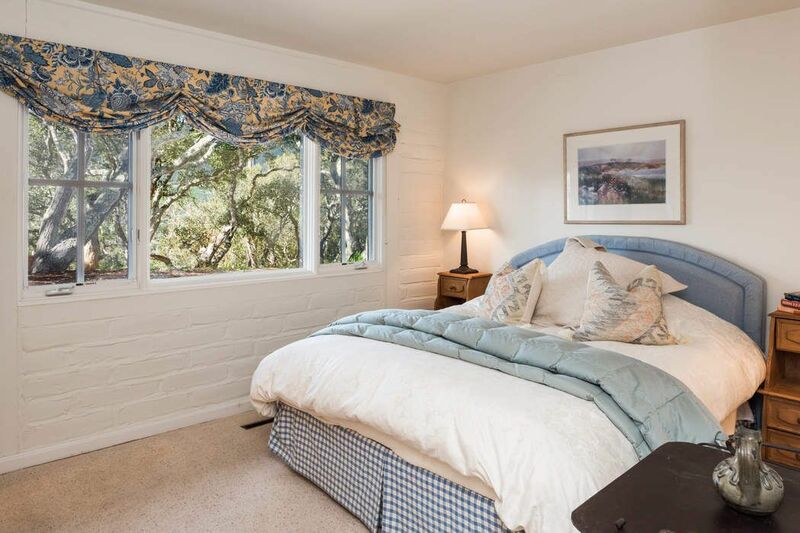 The main level also features two guest bedrooms, two baths, home office with a fireplace, laundry and a three car garage. 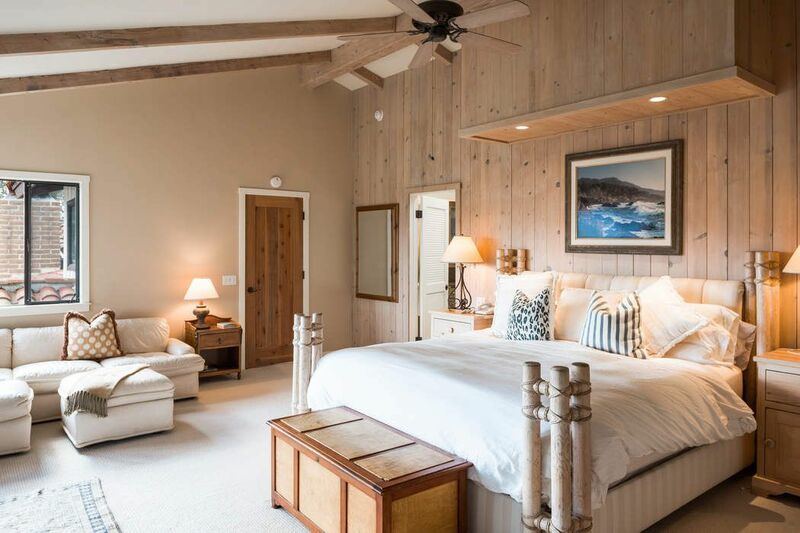 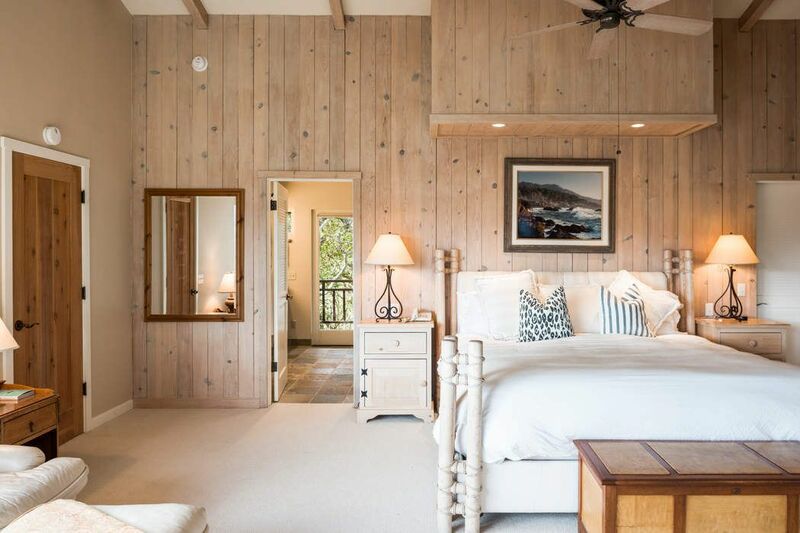 The second floor features a tranquil master bedroom suite with walk-in closet, and a private view deck. 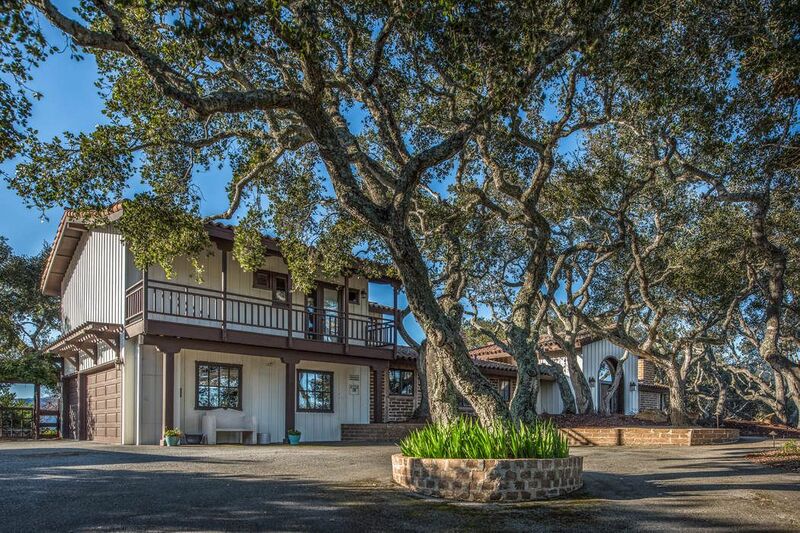 Other wonderful property features include an outdoor spa, tack room, and a 24 panel solar system. 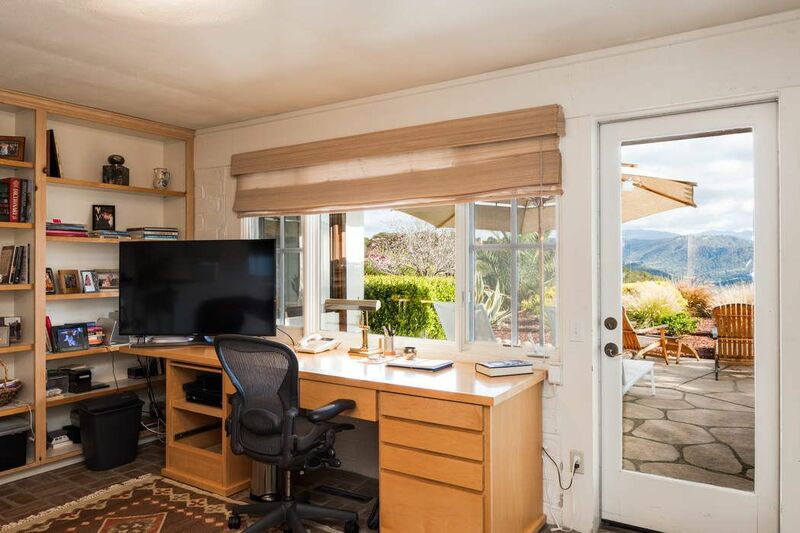 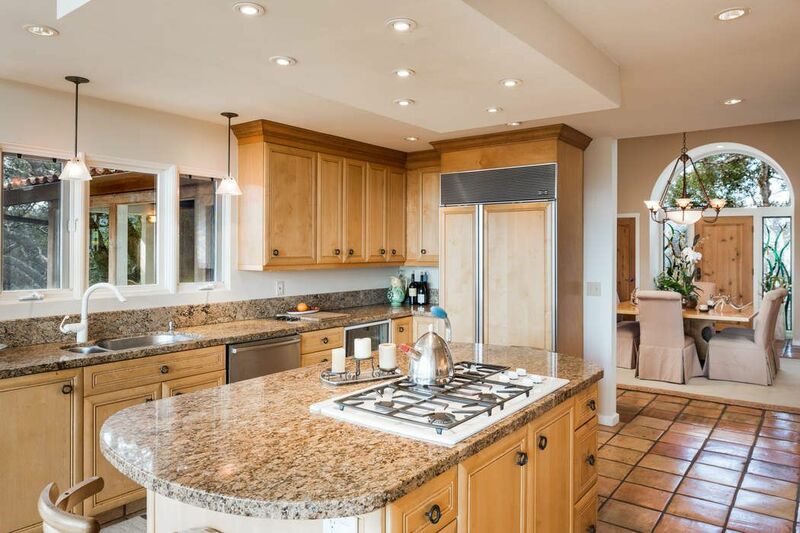 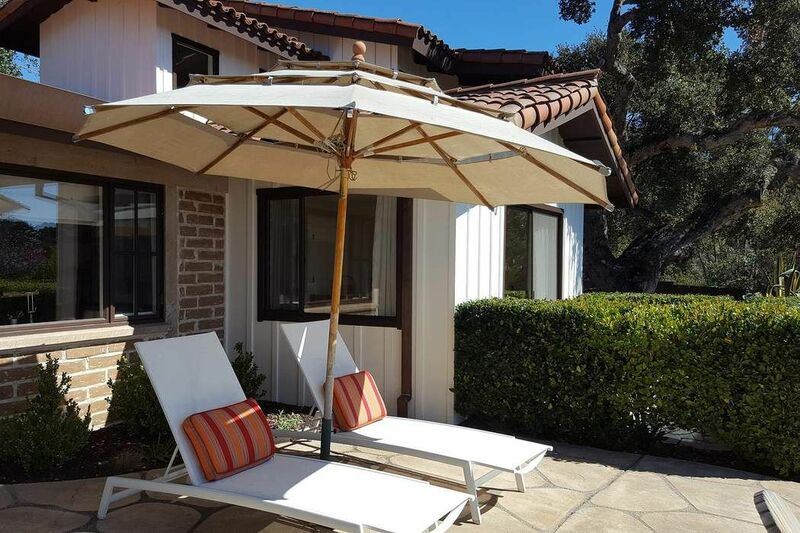 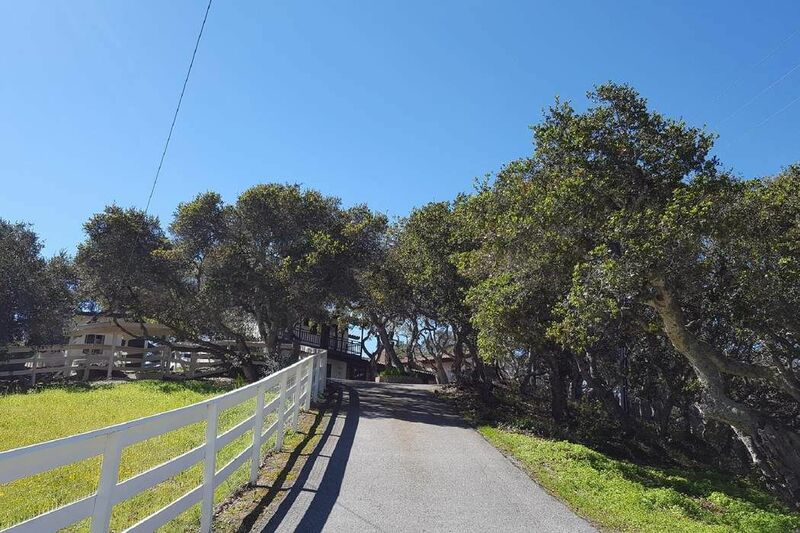 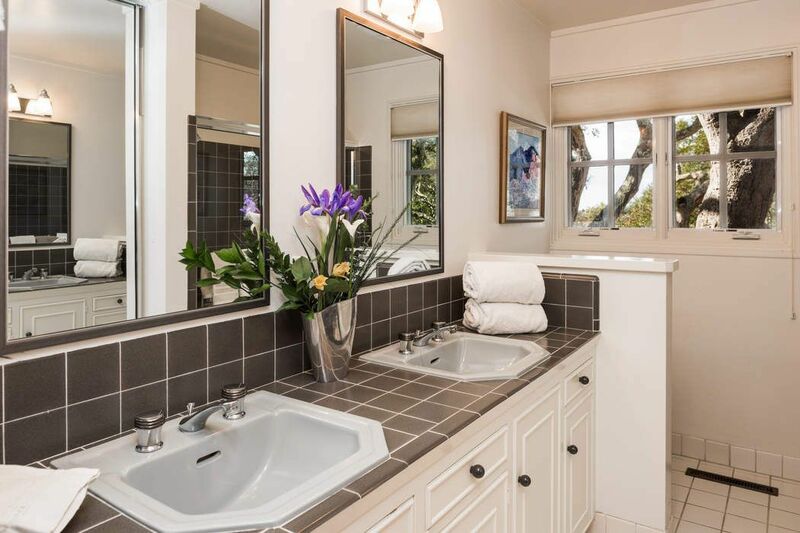 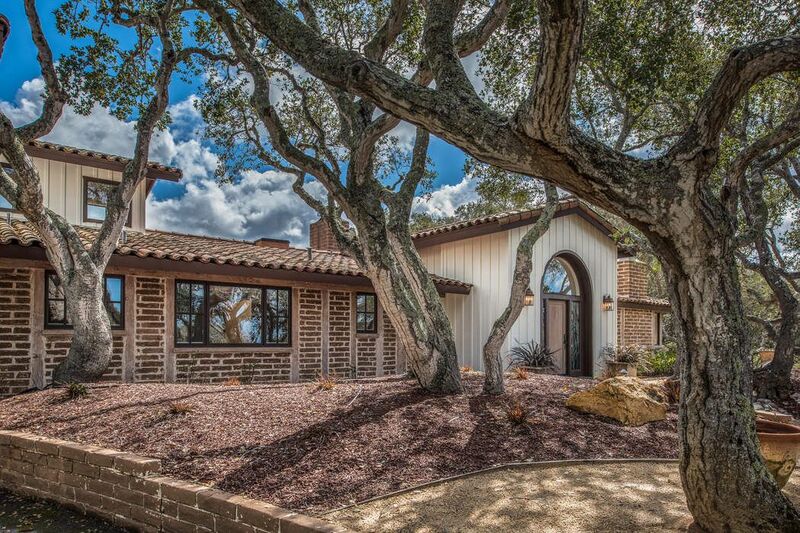 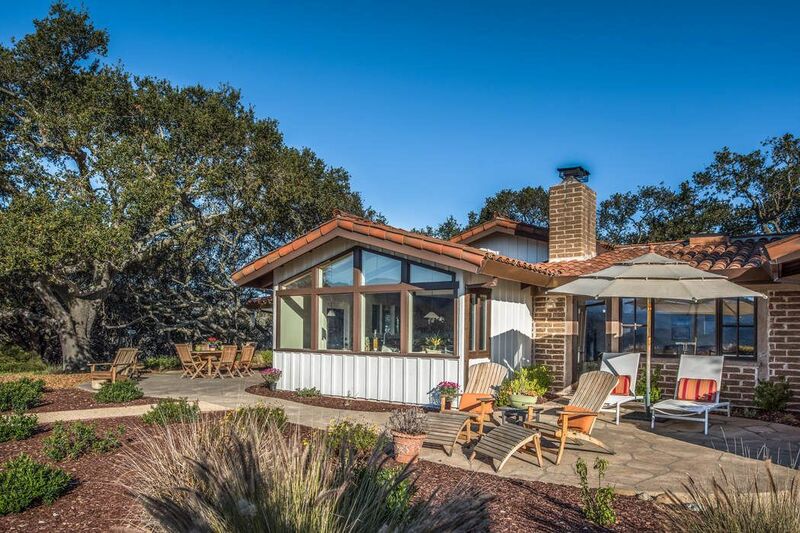 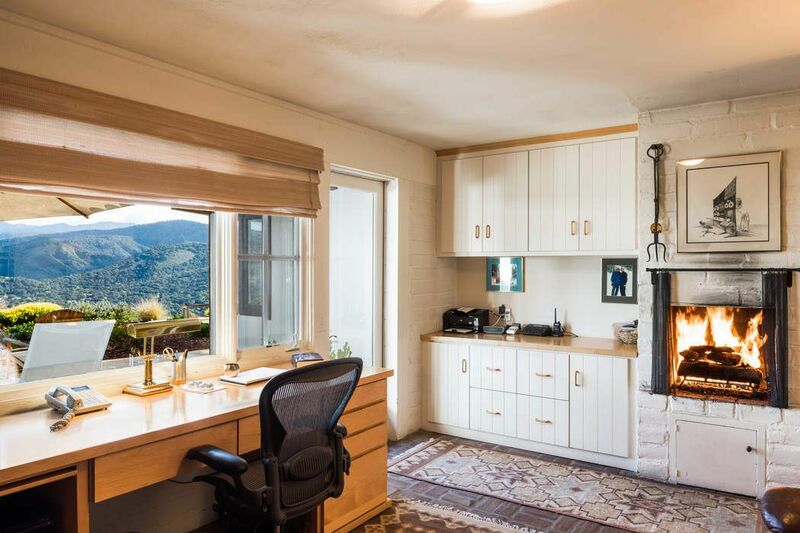 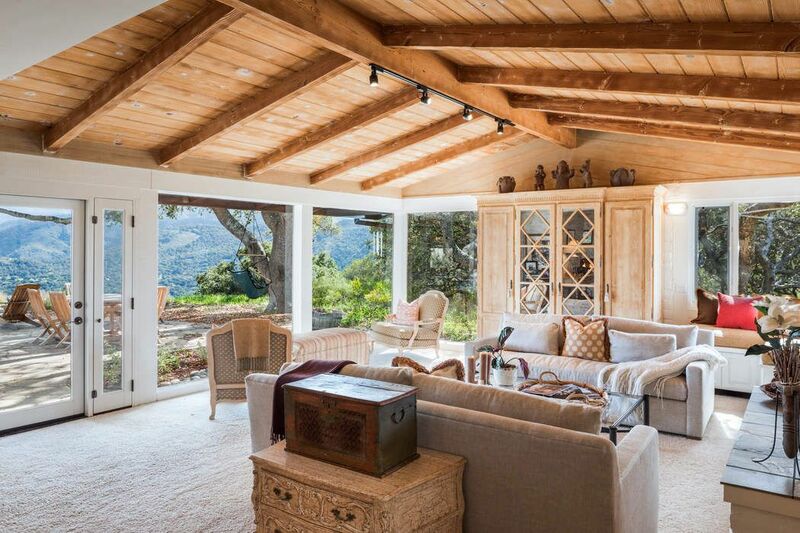 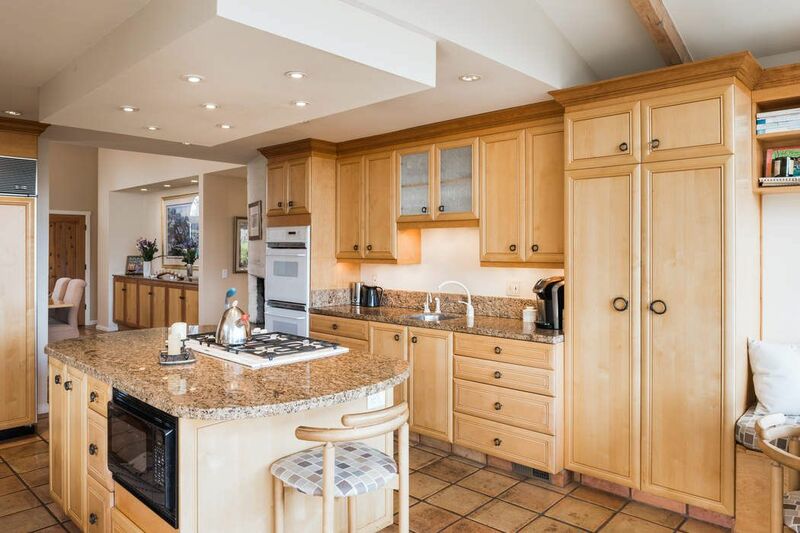 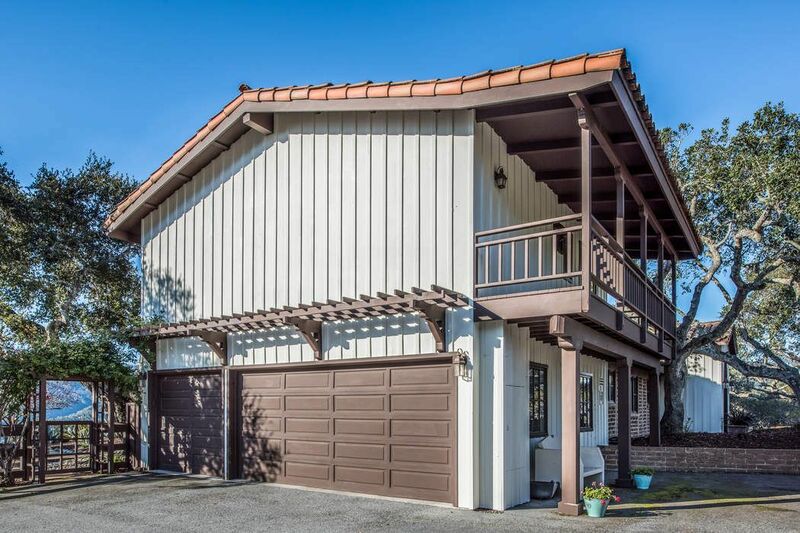 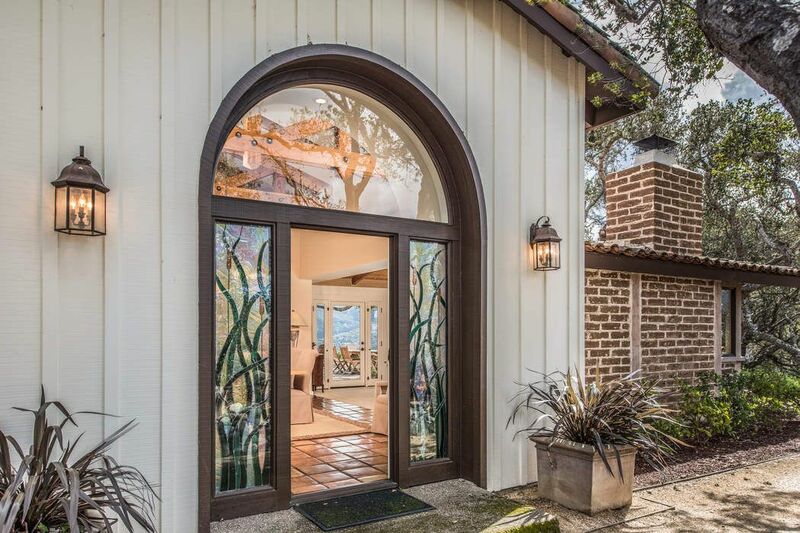 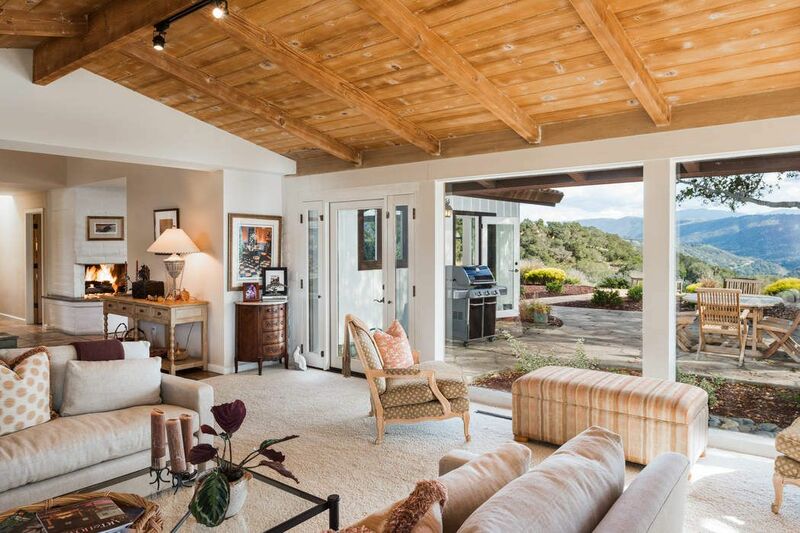 A fabulous location, that is convenient to shops, restaurants and amenities of quaint Carmel Valley Village and Carmel-by-the-Sea, and located in the sought after Carmel Unified School District.